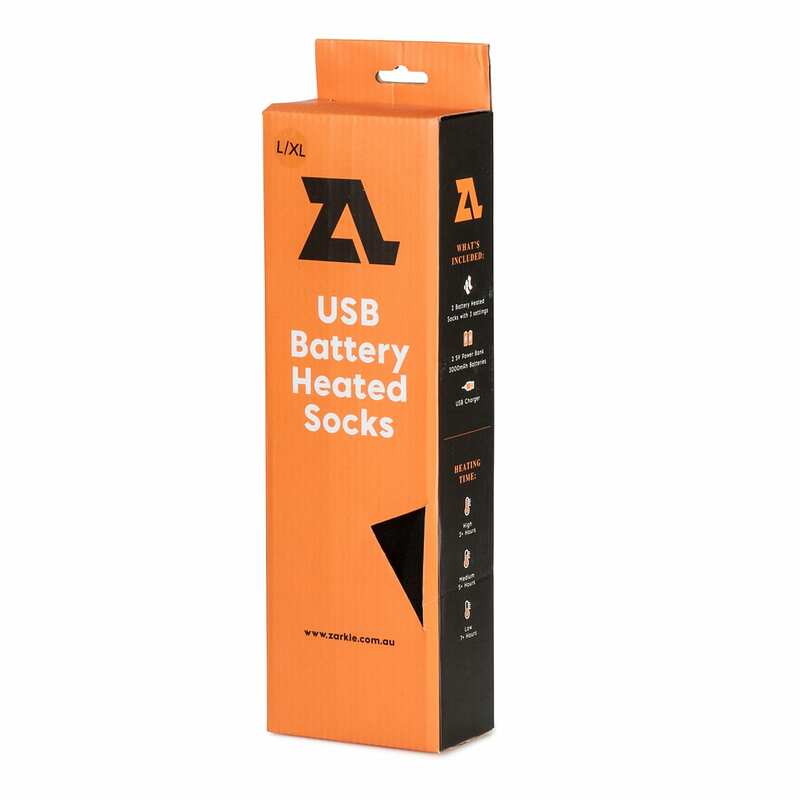 Zarkie’s new USB Battery Heated Socks are the solution for cold feet. In winter your toes are one of the first parts of the body to feel the cold and once they stop retaining heat, the rest of the body follows. 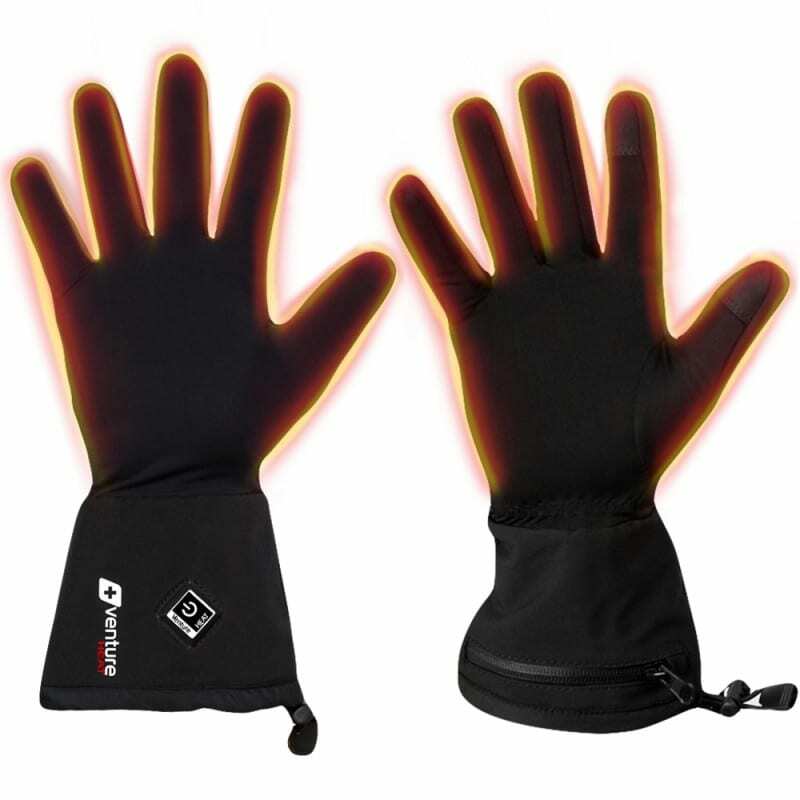 Our battery heated socks now give you the luxury of taking your heater wherever you go. The wool blend sock keeps your feet warm enough on it’s own, but when you add a quality heating element to quality sock, then you get comfort for all your outdoor winter activities as well comfort around the house and everyday activities. 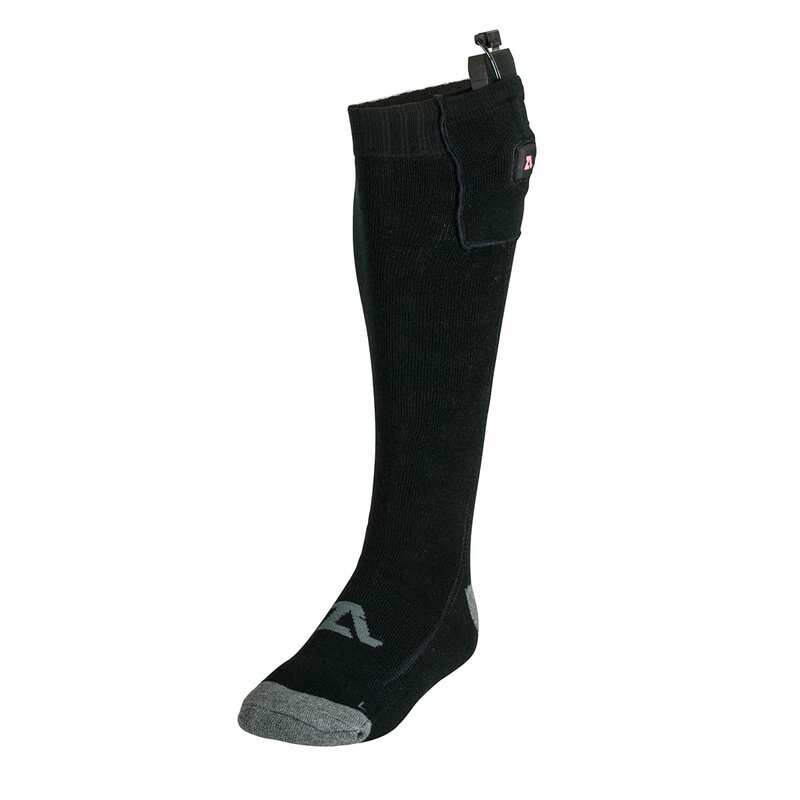 The extremely small 5V Power Bank sits in the top of the sock with the built-in 3 setting controller. This allows you up to 7+ hours heat and the ability to adjust your heat comfort level as your feet temperature changes throughout the day. 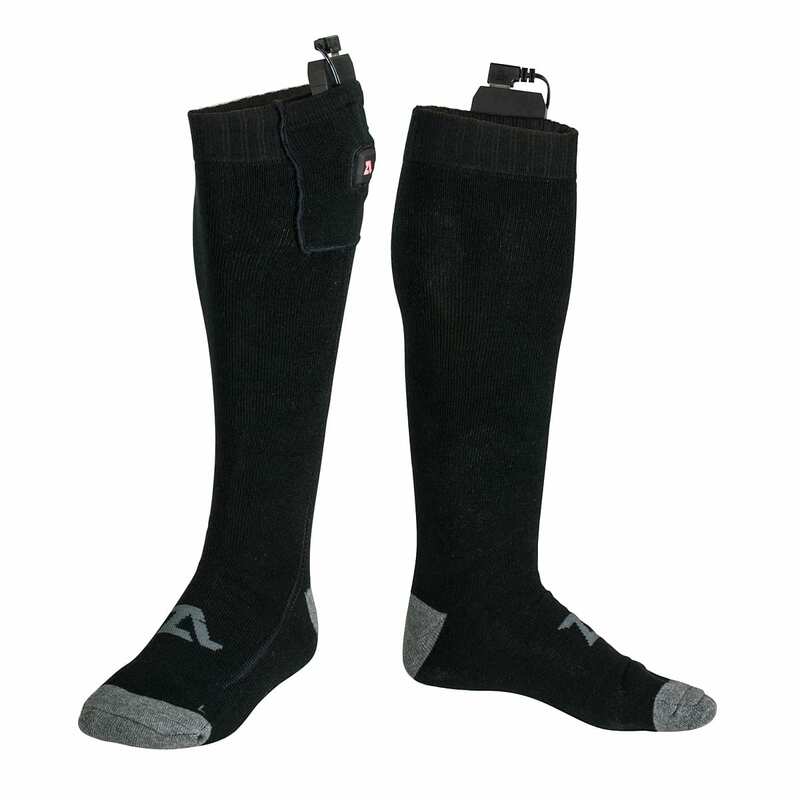 The Zarkie Battery Heated Socks come with batteries, charger and laundry bag included so you have everything you need to heat your feet. The sizing chart below is for both women and men’s sizing. 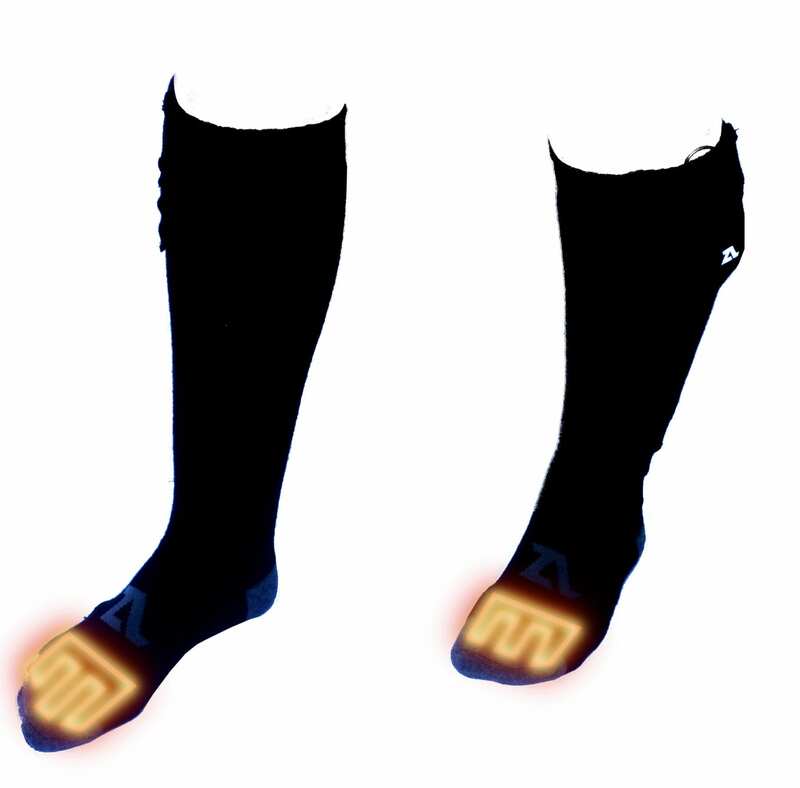 Zarkie Battery Heated Socks have a heating element that sits directly on the toes. They then use your existing footwear to trap the heat in and warm the foot. 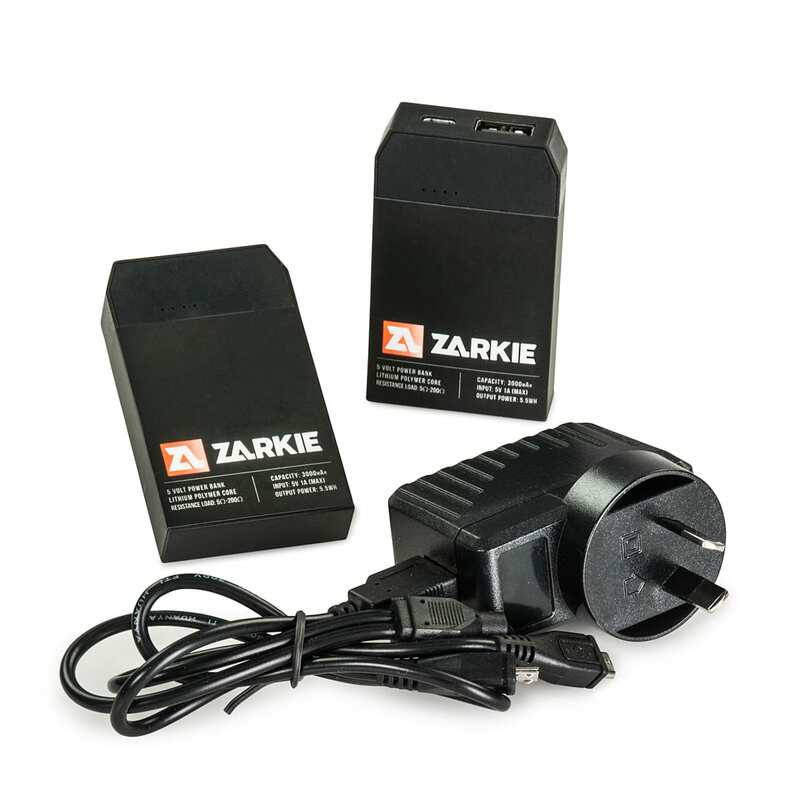 Zarkie Heated Socks come with two revolutionary 5V 1A 3000mAh Power Banks. 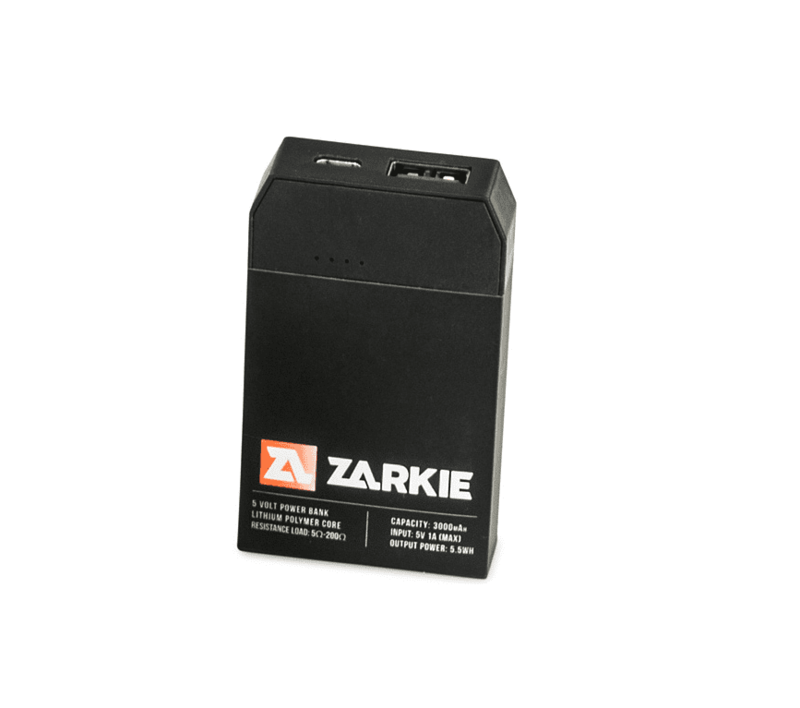 Weighing only 60 grams and 44mm X 74mm X 15mm in size, these batteries are so small you barely know they’re there yet can give heat up to 7+ hours. They can even charge your phone when you’re not using them to keep your feet warm. I purchased these socks for my wife and have had them for just over a week now. We have found the socks very well made and a high quality product. Well thought out design with the battery pouch. The three heat settings are fantastic and on low lasts for the 7 hours as stated. Even comes with their own wash bag. We have not found any as yet and I don’t we will find any. My wife would like a short pair as well as the long for when she doesn’t wear boots. Just a bit of background on where we use them , we have a stall at the Famous Salamanca Market in Tasmania and start setting up for the day at 6:15am and in winter the road pavers are freezing. The socks do a fantastic job in keeping her feet warm and the leeching cold at bay. I must also have to mention the people at Zarkie are the absolute best to deal with and are very customer focused. I am sure they will be shipping more of these to other stall holders in the future. These are fantastic. I bought them after reading a lot of reviews for heated socks online and these were well rated, they definitely do not disappoint! I have Raynaud’s which makes for some very cold feet in winter and it’s honestly a struggle to find a way to keep them consistently warm but the way these socks heat the toes is perfect. The low setting lasts an incredibly long time, I had it on for about 6 hours the other night and only used half the battery. I also took them camping last weekend and they kept my feet toasty all night. They are super easy to use and charge, and comfortable as well. I’ve had no issues wearing these to bed, inside slippers or shoes, the toe heating element is so slim it doesn’t affect the sock thickness at all. I’m so happy with these! I purchased these socks because of an old frost-nip injury. The affected spot is rather sensitive at the best of times, so the cold weather and working outside in steel caps doesn’t help matters. These socks are fantastic as it saves me having to use the heater every now and again to warm my feet up. I purchased a spare set of batteries as I normally use the highest heat setting which lasts about half a day. I was going to use these socks just for work, but I’m 100% sure I’ll use them all the time now as they keep the tenderness at bay. The highest setting really helps warm the front of the boot up. Really happy with the socks and the people here.